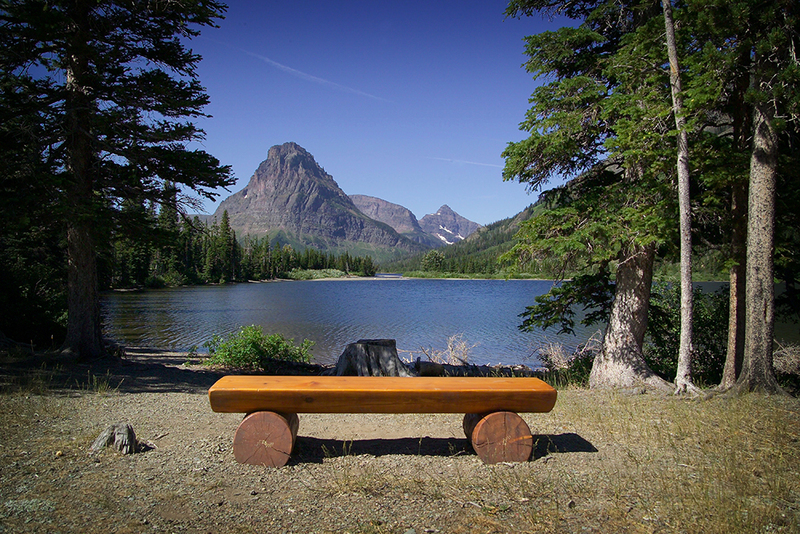 where you’ll find panoramic views, alpine plants and our historic glaciers. 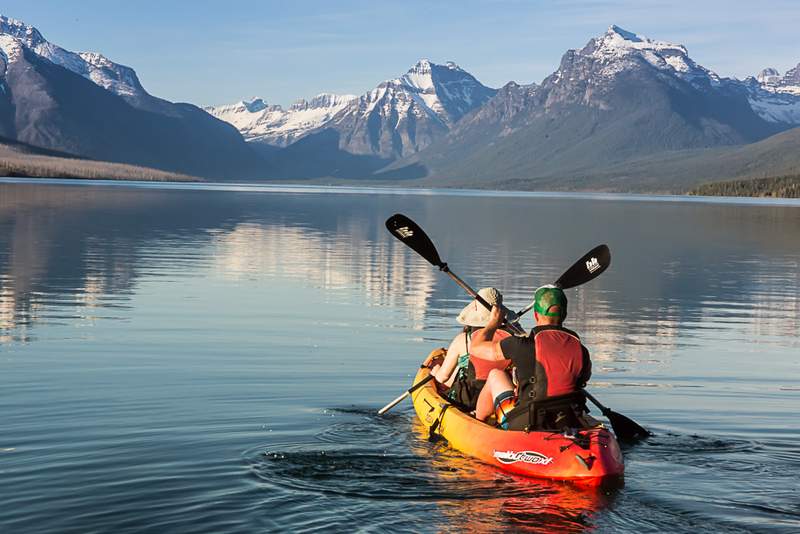 Another benefit of living in an area formed by glaciers is the many lakes and rivers filled with beautifully clean, clear water ready to be explored by kayak, paddleboard or just taking a refreshing dip. 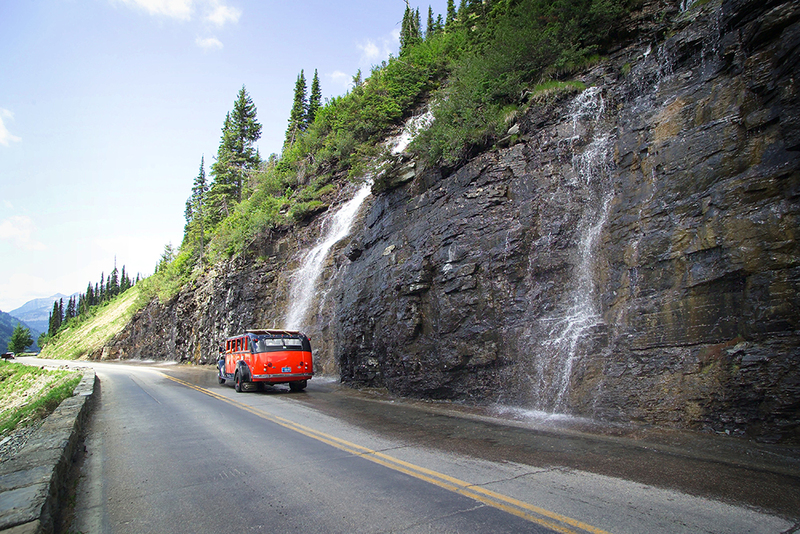 Montana’s natural beauty is unsurpassed, whatever the season, and you are guaranteed to return from your travels with a photograph album that will become the envy of all your friends! 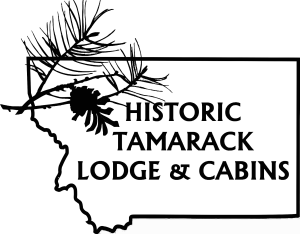 The Historic Tamarack Lodge and Cabins offers, within a five-mile radius, an array of activities appealing to all ages and a wide range of interests. 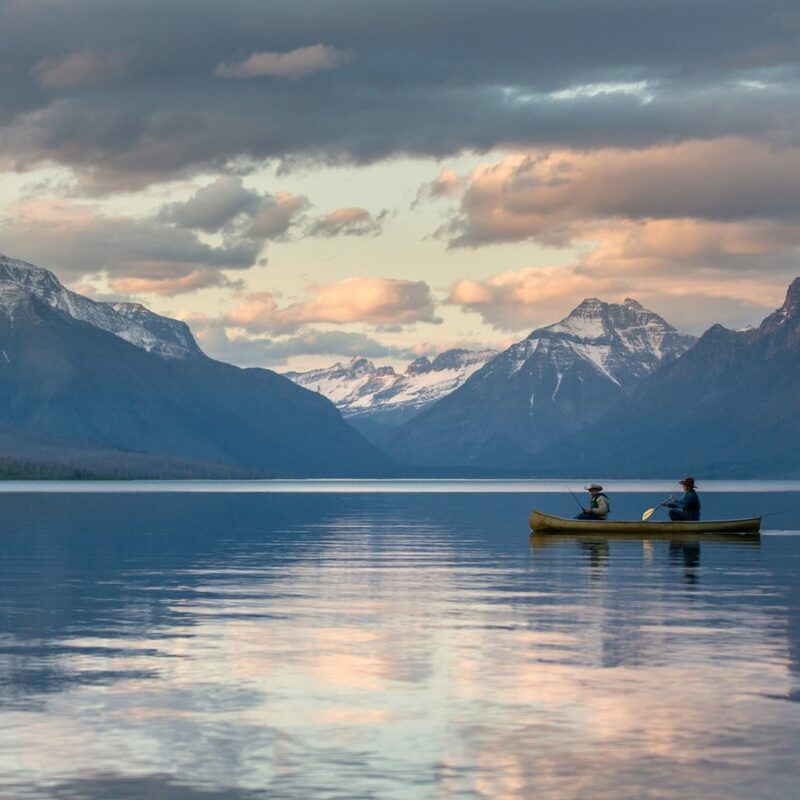 The Flathead National Forest right outside our back door provides miles of trails for hiking and mountain biking and ample opportunities for fishing and hunting. 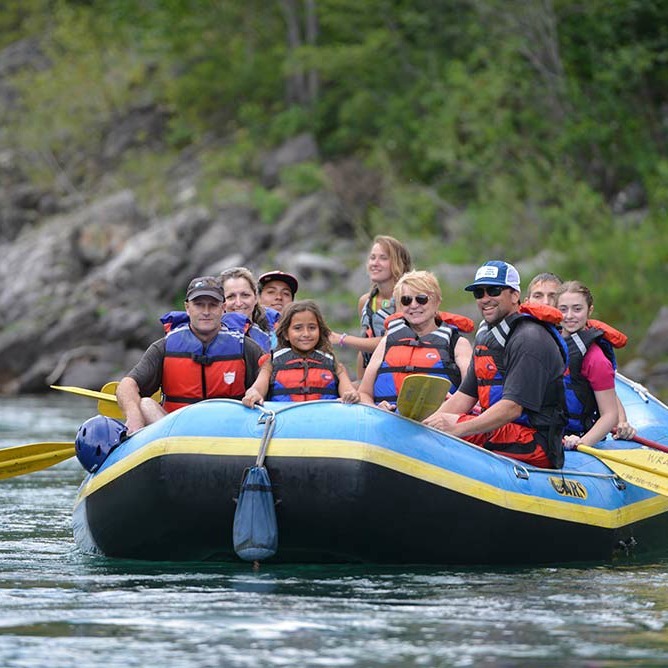 Nearby Kalispell, Whitefish and Bigfork have plenty of boutiques and antique shops and, in the summer months, there are ample opportunities for water sports whether touring the Flathead Lake, rafting on the rivers or shooting down the slides at the nearby Big Sky Water Park. When you are done exploring for the day enjoy dinner at our in-house restaurant followed by a night cap from the Saloon. 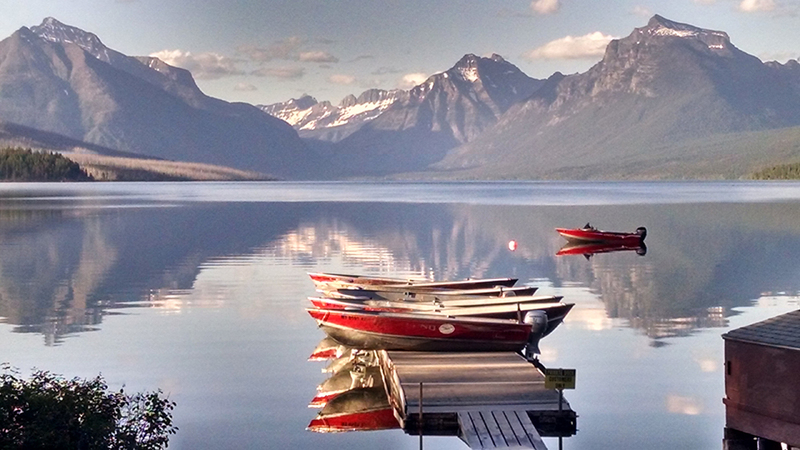 Regardless of the weather, season, or activity there is always spectacular scenery. 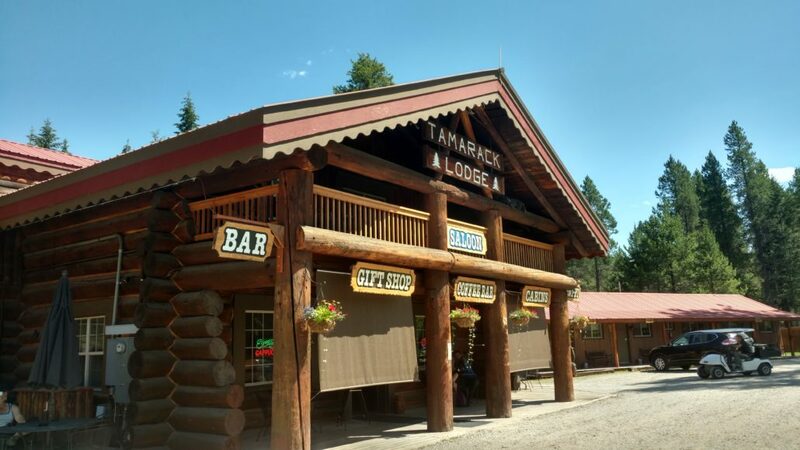 With Montana’s Rocky Mountains as your backdrop, the Historic Tamarack Lodge and Cabins will provide you with the perfect setting for your next family vacation, corporate retreat, or weekend getaway.